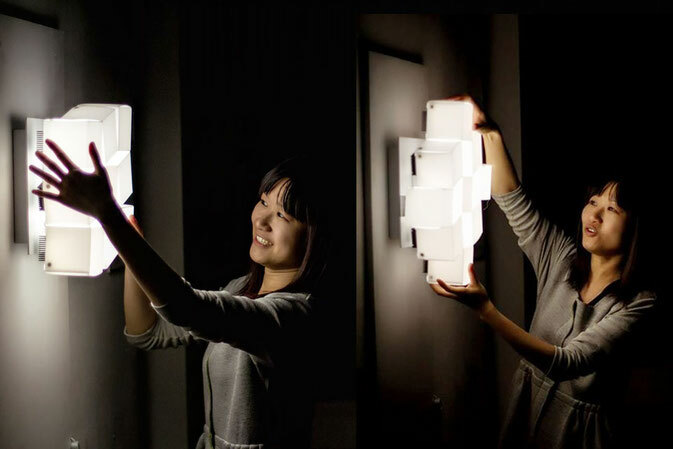 The wall lamp CuBe is inspirited by an Origami (paper folding) game. The magic moment comes when the nine cubes are unfolded. The lamp can be twisted in clockwise and counterclockwise directions. 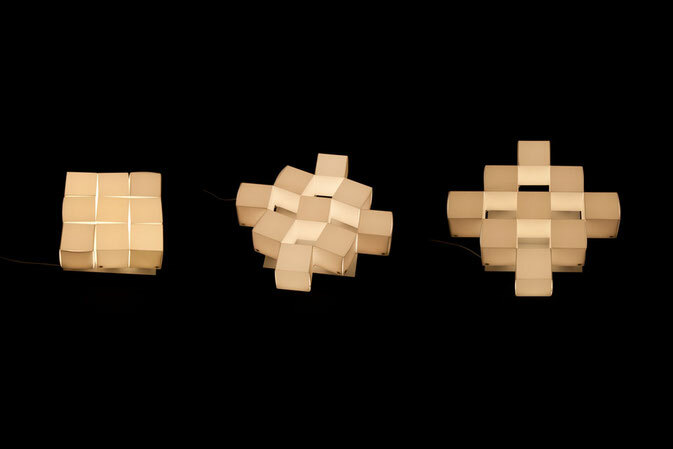 The lighting range can be enhanced by unfolding the cubes. 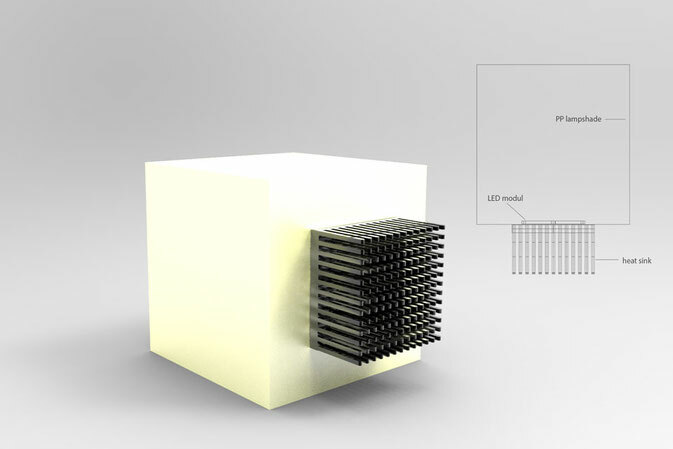 Each cube is a light unit including a Polypropylene (PP) lampshade, a LED modul and a heat sink. 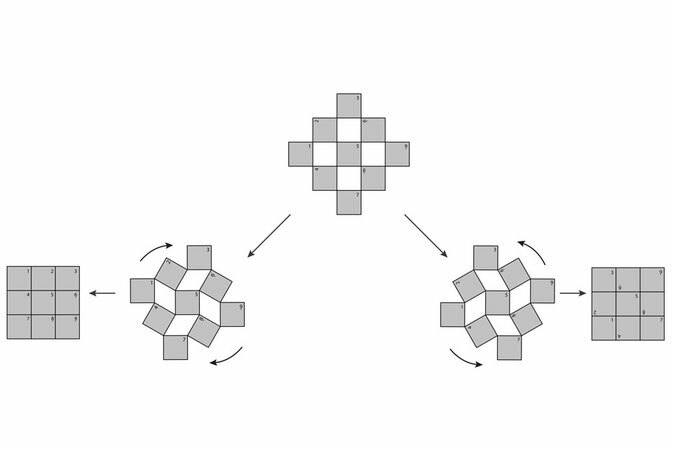 All cubes are connected through three invisible PP strips. With magnetic chips in lampshades, cubes are attracted to each other. It is easy to unfold the cubes by pulling any two cubes on the diagonal.